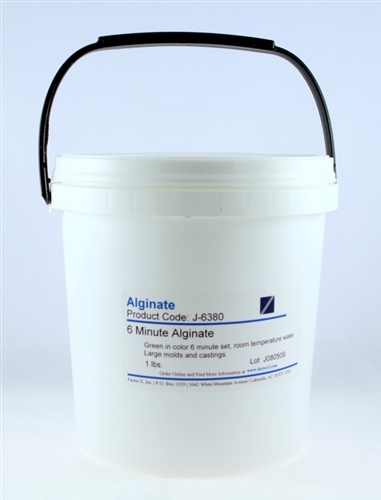 This is our original formula alginate, 6 minute set, green in color. Upgraded through the years, it is now our best alginate for head casting, and large areas. Reformulated several times in the past few years, it mixes smoothly and sets strong, firm and flexible. 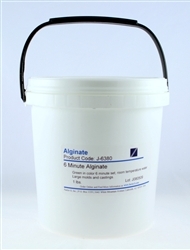 We have eliminated 95% of the “Slump” of this alginate. It is easy to mix and apply, but doesn’t run like everybody else’s alginate. It is easily used for faces, heads and torsos. It will set in 6 minutes 4 using 80°F water.